While I’m usually a pessimist about public policy, there are a handful of issues where I think there’s positive momentum. School choice is one example and another is putting an end to the misguided war on drugs. I’m somewhat optimistic on the drug war because more and more people, including conservatives, are realizing that government intervention isn’t working and is actually making things worse. For example, here are some excerpts from a Mona Charen column, in which she praises Ron Paul for his leadership position on the issue. Friedman was for legalization of all drugs, not just marijuana. 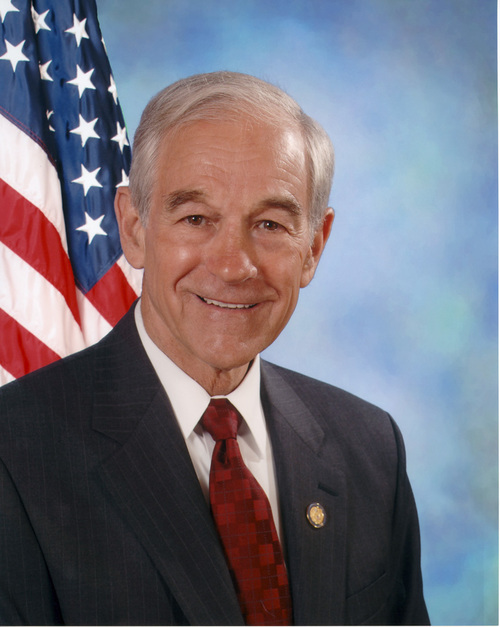 It’s a position embraced by only one candidate for president, Ron Paul. …Paul deserves full credit for endorsing drug legalization. Friedman would approve. Governments in the United States, federal and state, spend an estimated $41.3 billion annually to prevent people from ingesting substances we deem harmful, though many unsafe ingestibles — you know the list — remain legal. Half of all federal prisoners are serving sentences for drug offenses, along with 20 percent of state prisoners. In 2009, there were 1.7 million drug arrests in the U.S. Half of those were for marijuana. As David Boaz and Timothy Lynch of the Cato Institute noted, “Addicts commit crimes to pay for a habit that would be easily affordable if it were legal. Police sources have estimated that as much as half the property crime in some major cities is committed by drug users.” Drug money, such as booze money during Prohibition, has corrupted countless police, Drug Enforcement Administration agents, border patrol agents, prosecutors and judges. Drug crime has blighted many neighborhoods. America’s appetite for drugs has encouraged lawlessness and violence in many neighboring countries, most recently in Mexico, where its drug violence is spilling north. Because illegal drugs are unregulated, their purity is unknowable — accounting for thousands of overdose deaths and injuries. Since we maintain drug prohibition to protect people from their own foolish decisions, those overdose deaths must weigh in the balance, too. Drug prohibition, Milton Friedman pointed out, keeps the price of drugs artificially inflated and amounts to a favor by the government to the drug lords. …Harvard economics professor Jeffrey Miron estimates that if drugs were legal and taxed, the U.S. and state treasuries would receive $46.7 billion in added revenue, while saving $41.3 billion in expenditures. My only disagreement with Charen’s column is that Gary Johnson also wants to end the War on Drugs, so he should share some of the praise with Ron Paul. And I suppose I should say that I don’t want the government to collect an additional $46.7 billion of revenue, but that’s a separate fiscal policy issue. Ms. Charen continues with some very sensible cost-benefit analysis of legalization. What is the downside to legalization? Friedman acknowledged the possibility that legalization might result in some increase in drug addiction. There was, after all, an uptick in alcoholism after Prohibition was repealed. But not all victims are created equal. The child, Friedman notes, who is killed in a drive-by shoot-out between drug gangs is a total victim. The adult who decides to take drugs is not. Let’s stipulate that some unknown number of Americans will become addicts after legalization, who otherwise would not have. We must ask whether the terrible price we are now paying — in police costs, international drug control efforts, border security, foregone tax revenue, overdose deaths, corruption and violence — is worth it. This utilitarian argument is important. Libertarians traditionally rely on the moral argument that people should be free from government coercion so long as they’re not hindering the rights of others, and I certainly agree with that sentiment. But we could probably make more progress on this issue by also explaining that the costs of the drug war far outweigh any benefits. And I suspect it also would help if we explained that legalization does not necessarily mean approval. Ending the war on drugs does not mean endorsing drug use, any more than ending prohibition meant one had to be in favor of alcohol consumption. Heck, you can be like me and be personally opposed to drug use and favor legalization. You can also favor private-sector sanctions against drug use and favor legalization. When all is said and done, there are lots of reasons to favor legalization. Prohibition didn’t work in the 1920s and it isn’t working today. Too bad Ron Paul and Gary Johnson are the only candidates on the right side of this issue. Martin Foulner, I find it perplexing why some politicians in the U.S. have freely admitted to using illegal drugs and yet wanting to keep them illegal for the rest of us. The hypocrisy and double standard is so obvious. If gov pursues a policy like prohibition for over 40 years & the results are very opposite of public goals then obviously there are UNSTATED goals that are met very well by the policy. Huge gov interference in every ones lives. Huge profits in private prison. Decimated neighbourhoods. Prob is win win win win in every sense for elite who decide policy. The war on drugs is a failure. Get rid of it. I say make them legal for adults and illegal for anybody under the age 18 to use. Drug use should be seen as a medical issue, not a criminal issue. Given the fact that some political leaders in the U.S. have admitted to using these drugs, it is very hypocritical for them to enact laws that restrict our right to choose whether or not we want to use them. on January 26, 2014 at 3:00 pm Are Government Bureaucrats Corrupt and Dishonest? Where do we sign up to end the war on freedom, currently being waged by our government, along with its war on drugs? Great post! The essence of drug legalization arguments in a simple short text! I for one think the Drug War is Awesome!! Marijuana is objectively safer than alcohol. Prohibition kills. We’ve been meddling in the middle east for the better part of a century. We can’t continue to believe that invading these countries, propping up despots and or supporting war by proxy is the way to achieve enduring stability and security for ourselves or our allies. The information age has made it evident to everyone, including the man on the Islamic street what is and has been going on. Besides, as RP likes to point out, we simply can’t afford empire any more. Pretty much every empire has eventually collapsed under it’s own weight. Too bad the military industrial apparatus and it’s appendages own big swathes of influence in Washington, and have promoted ‘peace through war’ in a variety of ways that frighten people into complacency and even support for US militarism. Look at what Madison said about war. He rightly called war the singe most dangerous phenomena to liberty and to freedom. If you aren’t seeing how Washington uses war to trample our liberty, then you need to clean your eyeglasses. The patriots had it right when they decided to risk life in exchange for freedom. Anyone who cowers behind the threat of terrorism and willfully surrenders their liberty in exchange for a little security, will find, as Franklin pointed out, that they will have neither. @dancingczars – Paul’s stance on mosque building was that it should be handled by the states. Thats what zoning laws are for. If NYC doesnt want a mosque next to the 9/11 memorial they can pass zoning laws the same way they avoid having strip clubs next to schools. There is no need for the federal government to interfere. That is a position that is completely in line with the Constitution. I think Paul has a better grasp of the intentions of our enemies then most. He is one of the few that even acknowledges the concept of blowback. The rest of the GOP just thinks we are attacked because we are rich and free. It cant possibly be because we have been bombing them for over 10 years. As for addictive narcotics, such as heroin, de-federalizing drugs would not preclude the possibility that a medical or social services approach would be applied to treatment and recovery at the state level. Heroin could be dispensed via prescription readily enough (along with clean, uninfected needles). Dispensing heroin this way might actually lead to decreased use. If the need for the ‘Pusher’ is obviated in this way, new recruits could very well diminish along with illegal supply. Cocaine, is perhaps a little more tricky since that is still widely used in recreational way, but wouldn’t fall into the category of an addictive narcotic, such as heroin, and might not be dispensed by a physician Crack presents similar problems. Do you put coke and crack on the pharmacy shelf? Sell it in the bottle shop? Easy availability could increase the temptation for people to experiment. Marijuana prohibition is a joke and everyone knows it, except probably the bottle lobby, who would rather people came home and cracked a beer or a bottle of wine that roll up a doobie. and Alzheimers desease. It is foolhardy to legalize this type of drug. I don’t like Ron Paul, he has some good ideas an this is one of them. I like his position on the Fed, for a guy who claims to be a strict constructionist of the Constitution, how in the word can he say that Islam and it’s mosque building activities is covered under the Constitution. Last time I read the First Amendment it said Congress shall make no law prohibiting the expression of free speech. Can some body please tell me how and where congress is involved in building the Ground Zero Mosqe. Paul is also woefully ignorant about Islam. For God’s sakes, the goal is to subjugate the entire western world to the will of Allah. Perhaps he hasn’t seen how Muslims have taken over the UK and Europe refusing to assimilate yet demanding we bend to their laws. Nope, some good ideas, wrong messenger, time for him to retire. That’s my story and I’m sticking to it. I’m J.C. Thanks for the great read, I’ll be cross blogging it. You do a great job Dan. Hear, hear! It would be great if we could finally be making some progress on this. Let the scales fall from the peoples’ eyes, please.